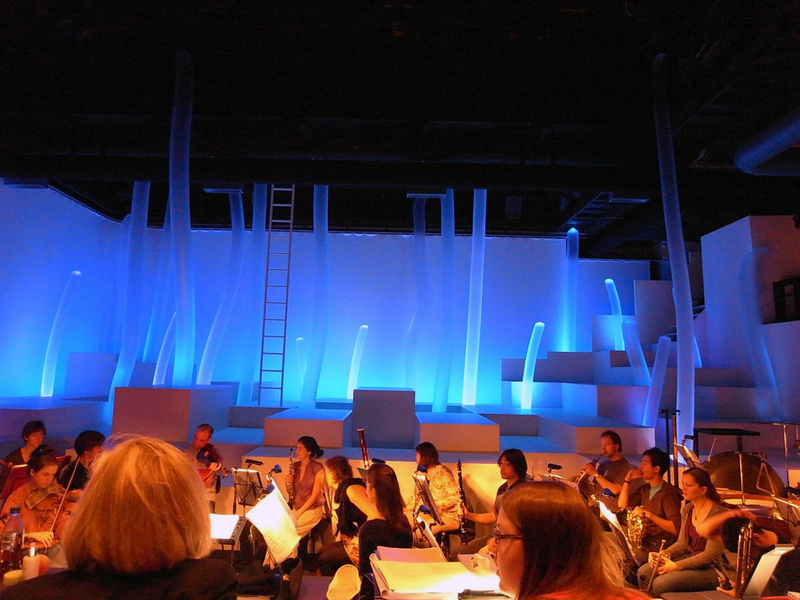 A stage full of twisted tentacles, which are effectively and alternatingly illuminated from the inside. 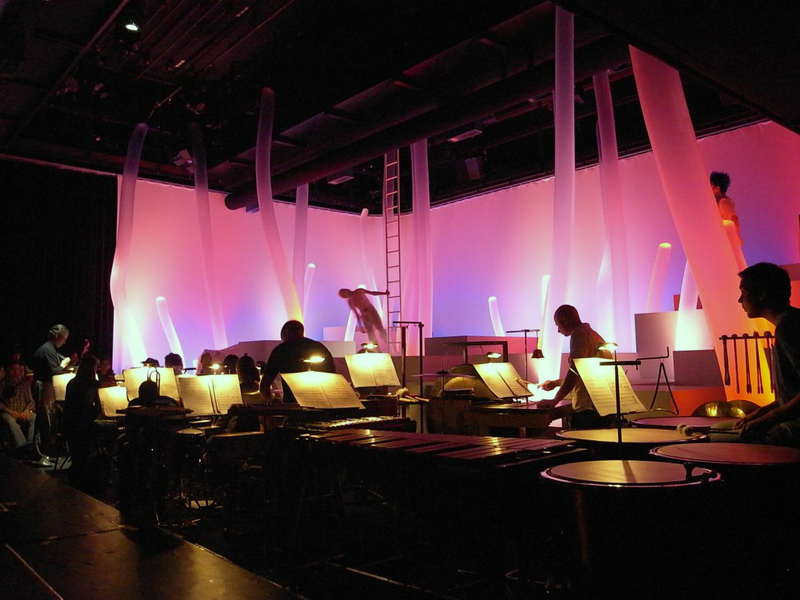 The translucent surface of the air-filled tubes distributes the colors of the built-in light beautifully and evenly. 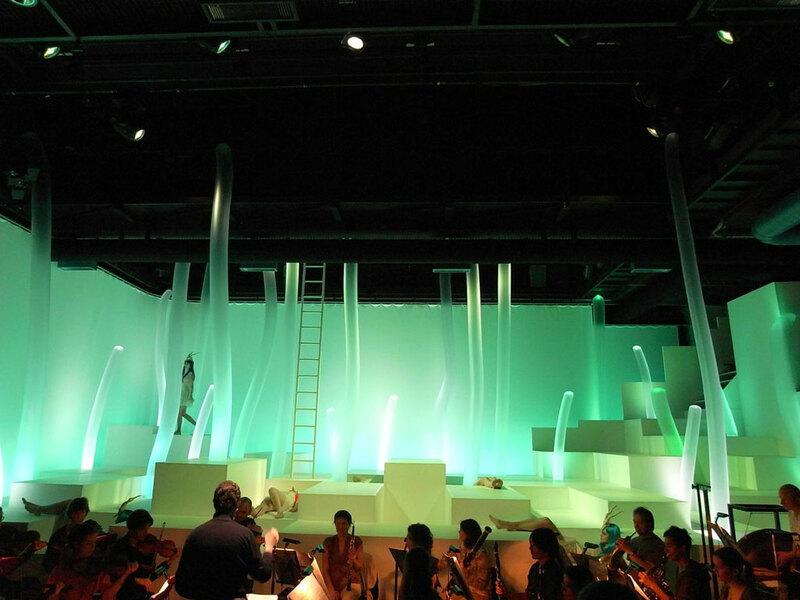 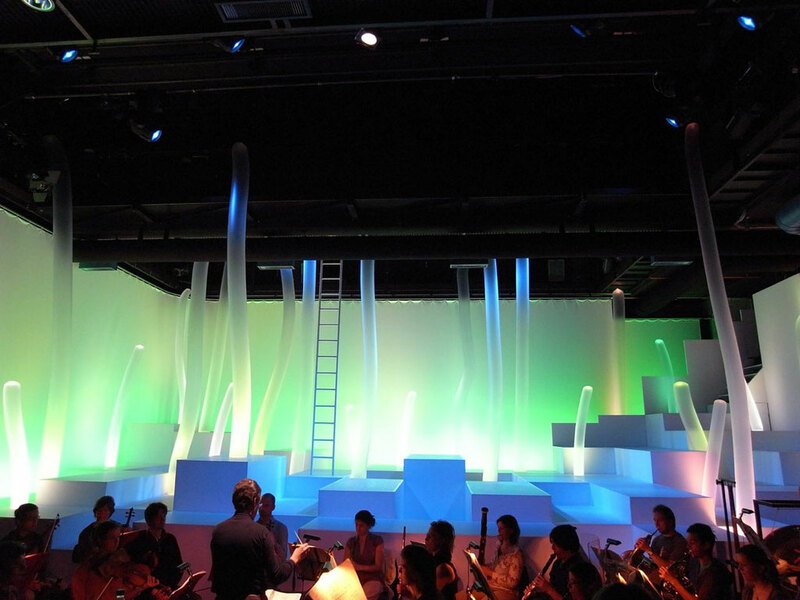 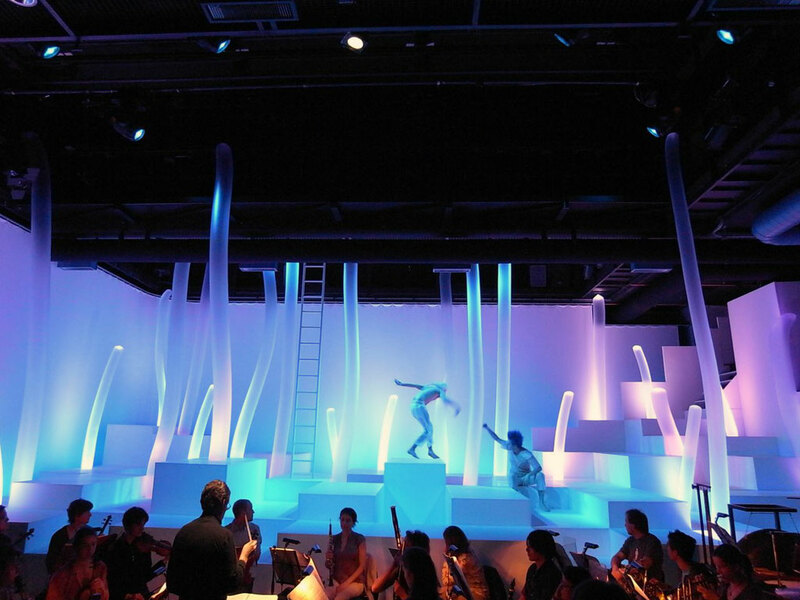 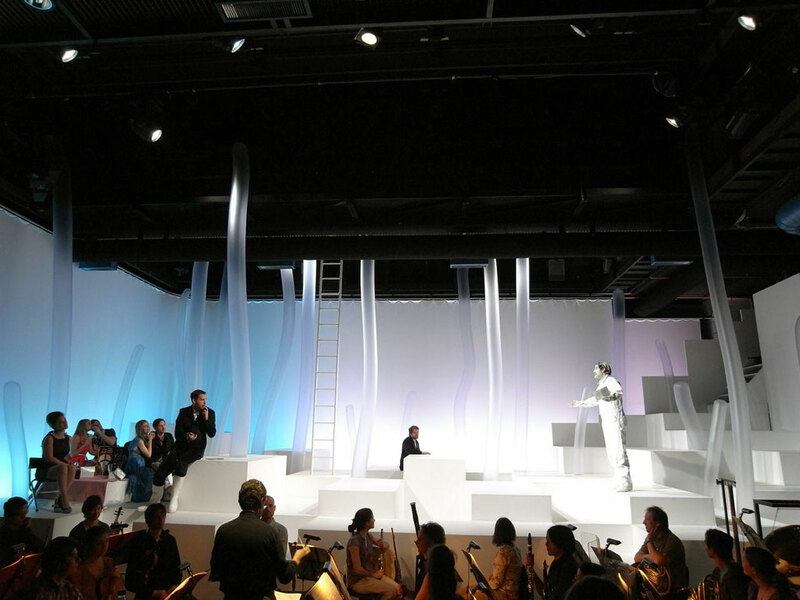 A dreamy stage for the show "Sommernachtstraum" (A Midsummer Night's Dream).